I have been preparing myself by practicing and drilling my lines after work. I have also done some research on the the story line of Much Ado About Nothing by William Shakespeare as well as analyzing the role of Hero through various theater articles. This allows me to obtain a greater knowledge of the role and understand her point of view. Many of my friends and colleagues have expressed their feelings and shared their experiences when they have attended NUOVA. I was influenced by their joy in the program to try this year. I am very much into "try now, and see what happens" for you never know what would be given to you. And I was absolutely thrilled to be given a role in a newly composed opera. I am very much looking forward to this production. 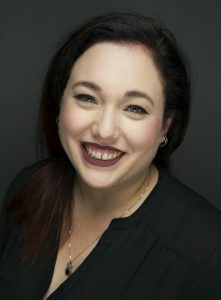 A native of Gatineau, Québec, soprano Stéphanie Brassard currently resides in Gatineau having graduated with her Master’s Degree in Performance and Literature at Western University, under the tutelage of Torin Chiles. With the latter, she also obtained her Artist Diploma at Western University with Torin, Bachelor’s in Fine Arts with Specialization in Music Performance at Concordia University with Dr. Irene Feher, and her DEC in Classical Music Performance at Cégèp Vanier with Tamara Vickard. In her recent performances, Stéphanie has performed the roles of the Countess in Academia Europea Dell’ Opera’s (AEDO) production of Le Nozze di Figaro and Mary O’Connor in the premiered production of the 1 ACT opera, The Donnelly Opera by Joshua Richardson. During her studies at Western University, she has performed with Western Opera Workshop as Adina from scenes of Elixir of Love in their Opera Gala (2018), Chorus in Carmen (2017) and La Ciesca in Gianni Schicchi (2016). Stéphanie is looking forward to performing the role of Hero in the newly composed opera Much Ado! by James Garner in Edmonton with Opera NUOVA as well as singing the role of Solo Angel and covering Agnes Sorel in The Maid of Orleans by Tchaikovsky with the Russian Opera Workshop in Philadelphia this coming summer.